Achieving the American Dream isn’t for the weak! 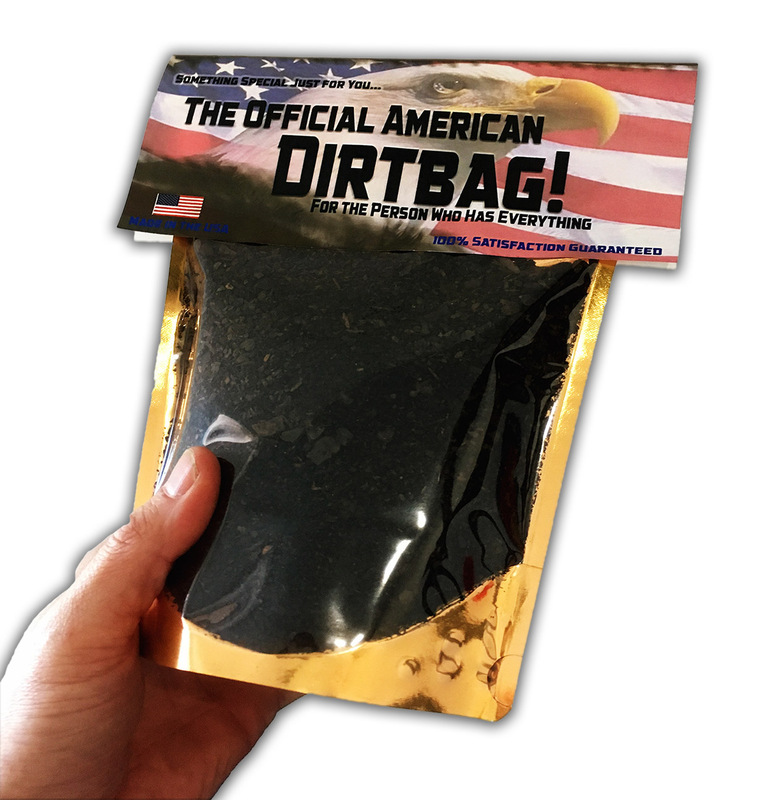 If you know someone with the grit to go after it, who’s not afraid to pick himself up, dust himself off, and get right back into it until he comes out on top…it’s time to bust out The Official American Dirtbag! 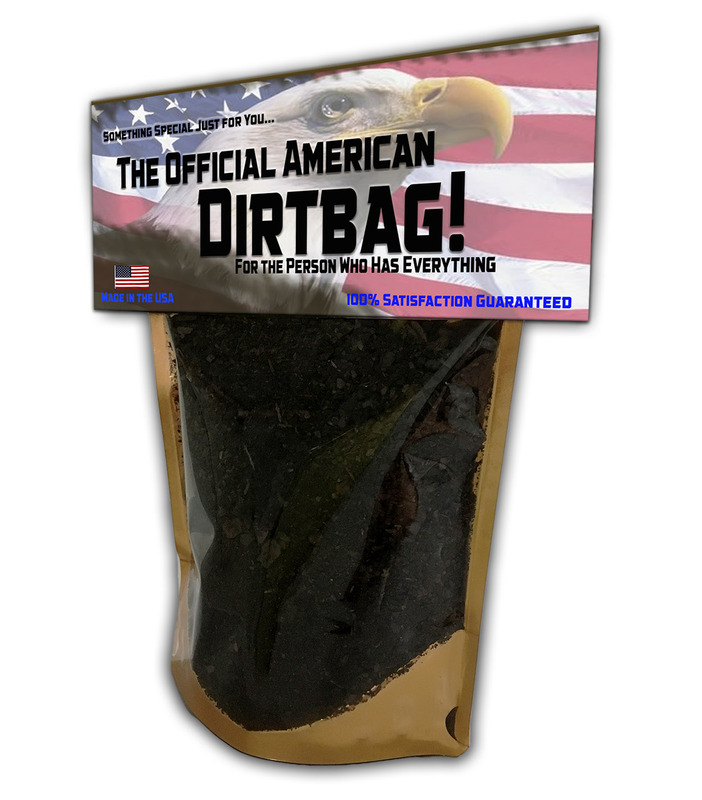 The American Dirtbag is chocked full of 100% Grade A, Pure American dirt! If you just don’t know what to give the guy or girl who’s put in the work and earned everything they could possibly wish for or need, the only choice left is a piece of the heartland itself! Just because it’s a gag gift doesn’t mean it’s fake. This hilarious novelty gift is the real deal. 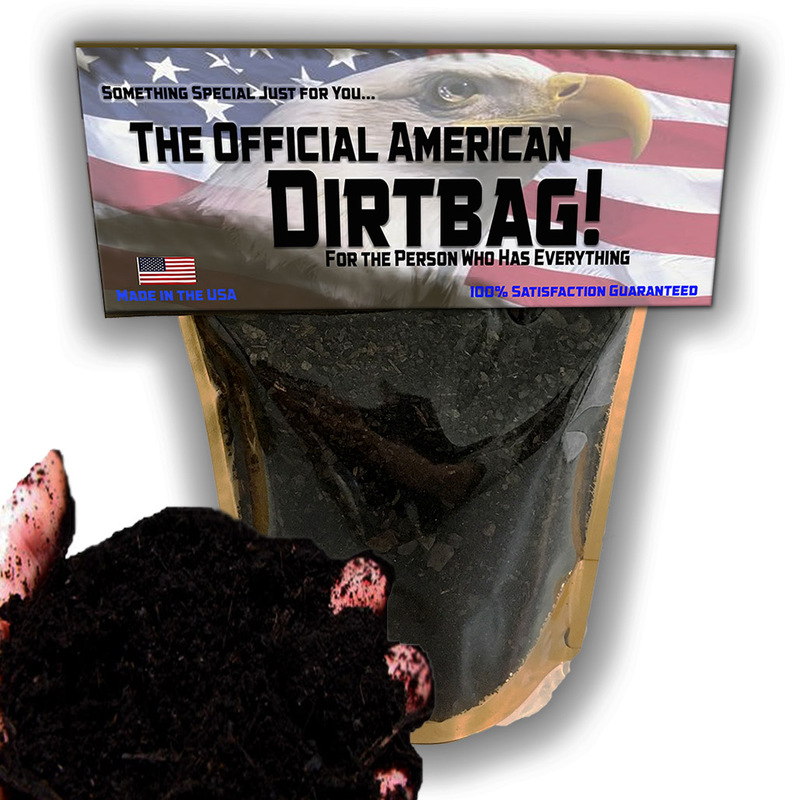 American Dirtbag is packed with 100% genuine US soil for your gifting delight. 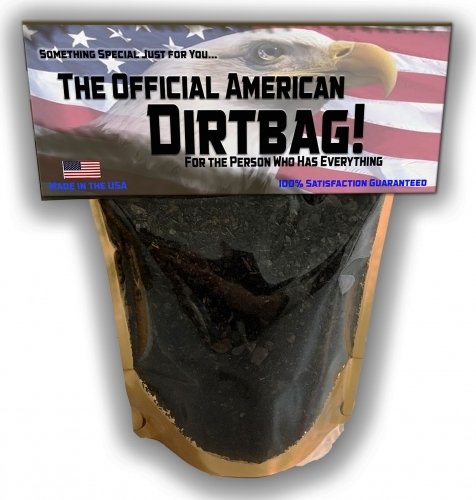 Carefully packed into a factory-sealed gift bag, you can pass along this humorous piece of Americana with confidence that you won’t find any stray dirt mucking up other gifts. This hilarious dirt bag novelty gift makes an awesome stocking stuffer, Secret Santa gift, or White Elephant Party gift idea.